Andhra University, Visakhapatnam on behalf of APSCHE is scheduled to conduct Integrated Common Entrance Test (ICET) on 2nd May 2018. A huge number of candidates applied for the AP ICET 2018. Candidates who had applied are searching for the AP ICET 2018 Hall Ticket as it is the crucial document to carry for the exam and contains details regarding exam venue, roll number etc. APSCHE is going to release ICET Admit Card on 27th or 28th April 2018 as per official notification. 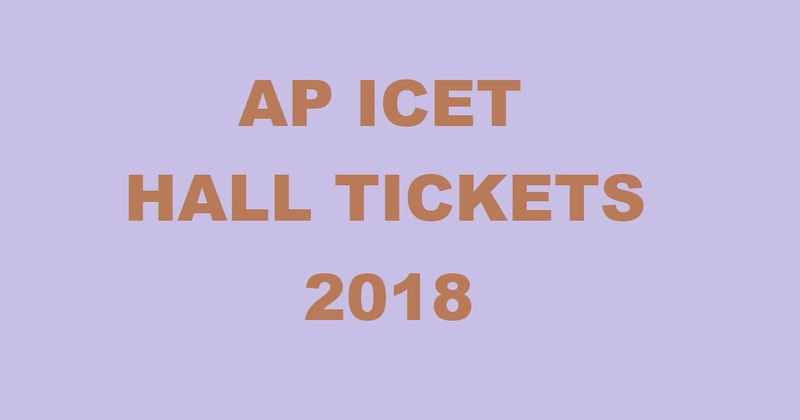 Candidates can download AP ICET Hall Ticket 2018 from the direct link provided below. Andhra University on behalf of Andhra Pradesh State Council of Higher Education (APSCHE) conducts ICET examination every year. The Integrated Common Entrance Test (ICET) is a qualifying examination for admission into MCA ( Master of Computer Application) and MBA ( Master of Business Administration) courses offered by Universities in Andhra Pradesh and their affiliated Colleges. Candidates who had applied can download AP ICET 2018 admit card from the official website. Andhra University, Vishakapatnam released notification and invited online applications for the Integrated Common Entrance Test (ICET). A large number of eligible candidates who are looking for the admissions into MBA and MCA regular Courses offered by State Universities and Professional Colleges under the Jurisdiction of A.P State Council of Higher Education for the academic year 2017-18 applied for the exam. Candidates who had applied can download hall ticket from the direct link provided below. 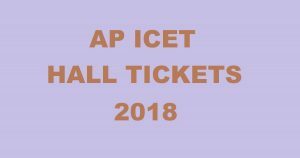 Click on AP ICET Hall Ticket 2018.